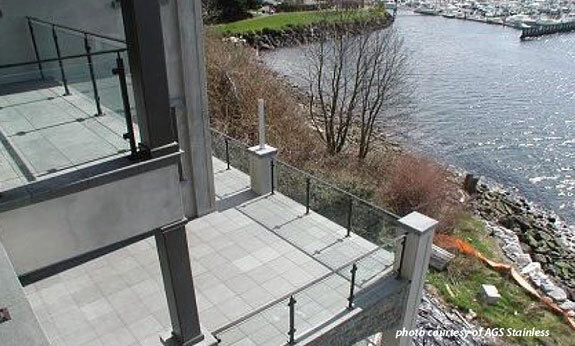 Glass deck railings have a clean, timeless look to maximize your view. Whether gazing across your yard or watching the little ones play chase, glass railings are the optimum choice for many who want a virtually-transparent and contemporary railing system. 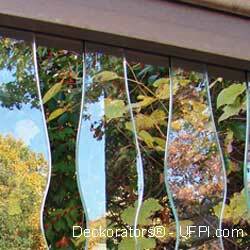 The safety and strength of tempered glass is ideal for your front porch or deck along with many interior uses as well. 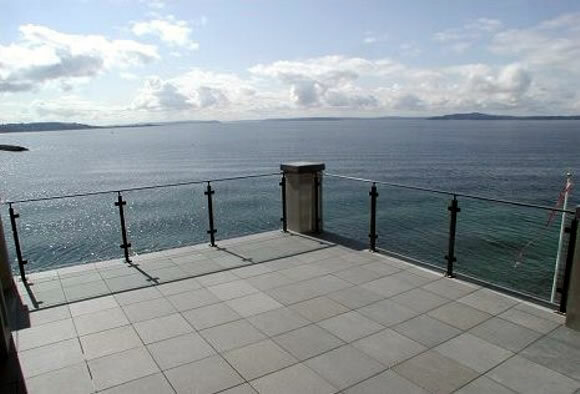 Glass railings have the advantage of providing an almost invisible barrier to provide comfort from the wind and to optimize your viewing pleasure. Versatile, you can use them inside or out! 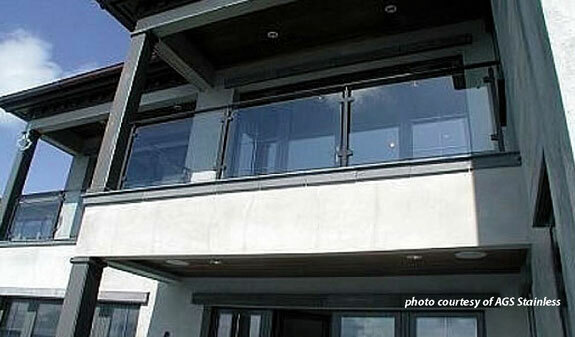 Not only does glass rail look great in exterior applications, it also blocks the wind without degrading the view. You could also enhance the look of glass with etched glass designs for a more decorative option. 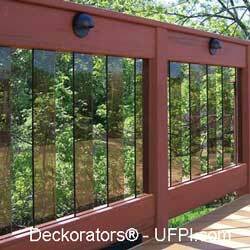 Glass etching provides limitless design opportunities and will make your stainless steel glass railing system even more beautiful and unique. 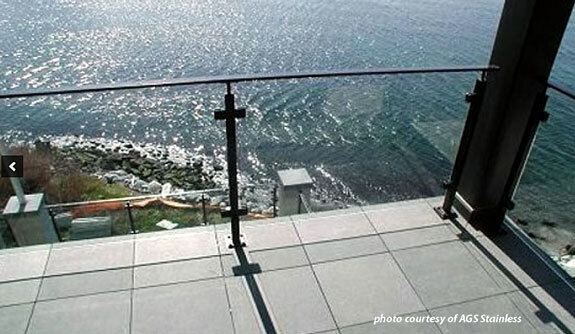 Stylish, residential glass deck railing systems have a sleek contemporary appeal to dress up almost any deck or balcony. 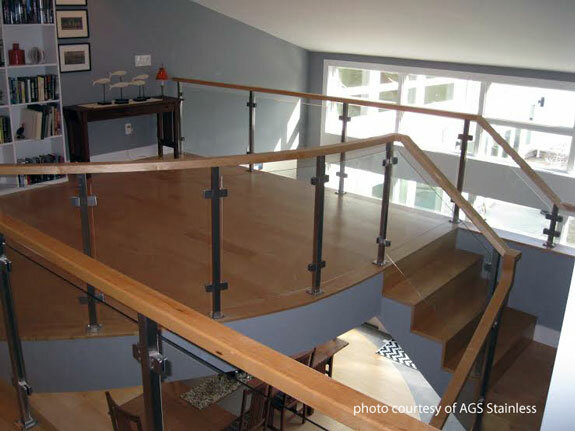 Glass railing systems like Clearview® railing systems by AGS Stainless are relatively easy to install and most can be accomplished with simple hand tools. 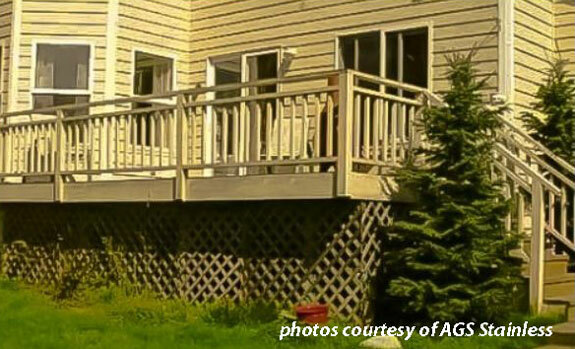 It is important to realize glass railing systems contain the materials for posts and/or top and bottom rails, but not the glass. 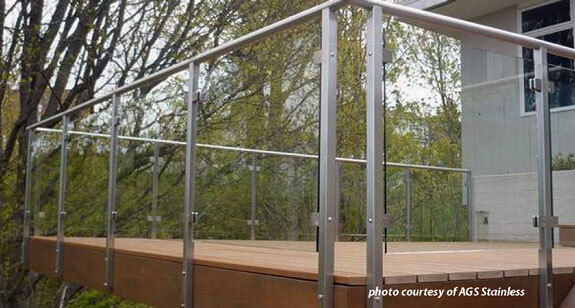 Unless you are purchasing your glass deck railing system from a local glass railing company in your area, tempered glass needs to be ordered and installed separately. 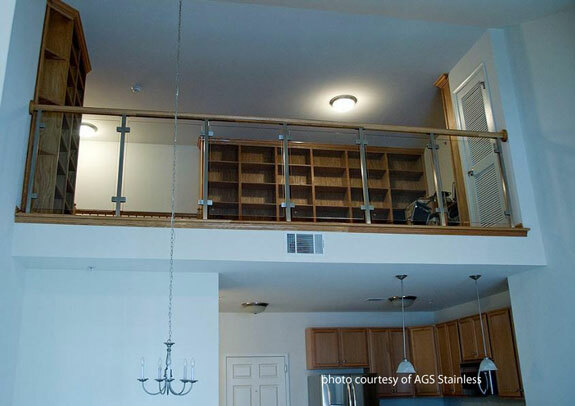 Most companies like AGS Stainless will give you the proper glass dimensions and the homeowner or contractor orders the glass separately from a glass company. Glass companies can provide you tempered glass options like frosted, etched, or clear glass. 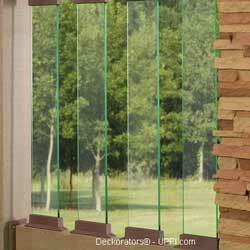 There are two types of safety glass: tempered and laminated. 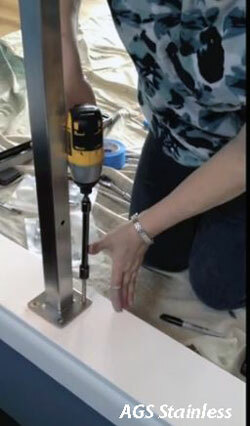 Tempered glass is heated to over 1,100 degrees and then exposed to very cold air. This process makes the glass cool very rapidly and creates an outer surface that is much harder than the inner surfaces. This, in turn, causes the tempered glass to shatter with rounded edges when broken and is the type of glass used for glass railings. Laminated glass on the other hand is actually two sheets of glass bonded together with polyvinyl butyral (plastic) as in inner liner. The polyvinyl butyral softens the blow when anything hits the glass and prevents it from separating thereby reducing the odds that you will be severely cut if the glass is broken. This type of glass is used for automobile windshields. 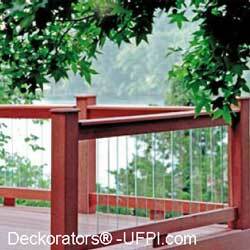 Perfect for following the contours of your porch, deck, or balcony. Made to ensure both safety and beauty on your balcony. 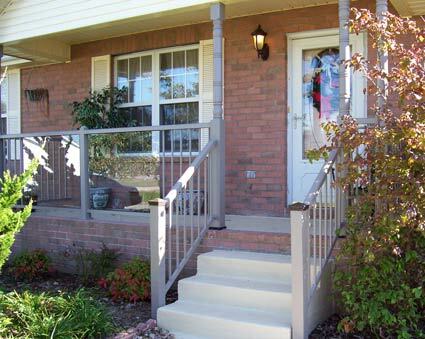 IMPORTANT NOTE: See our railings code guide before installing any type of railing system on your porch or deck. Consult with your local building codes department to make sure you know the specific requirements for your area. Railing examples shown may or may not comply with your local codes and therefore are provided for informational purposes only. 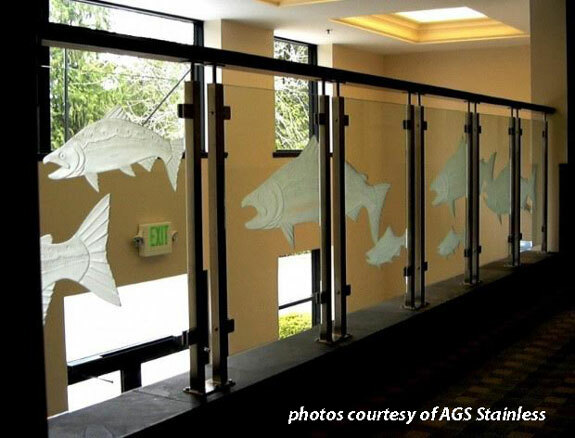 We appreciate AGS Stainless for allowing us to share their photos and information. 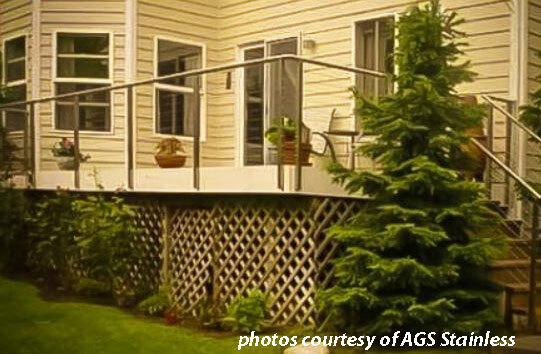 Learn more about AGS Stainless below to discover the many other products they offer like the steel cable railings below. Our son and daughter-in-love have an amazing deck that overlooks the ocean. How nice it would be to have glass railings on it to block the cool wind from the ocean. 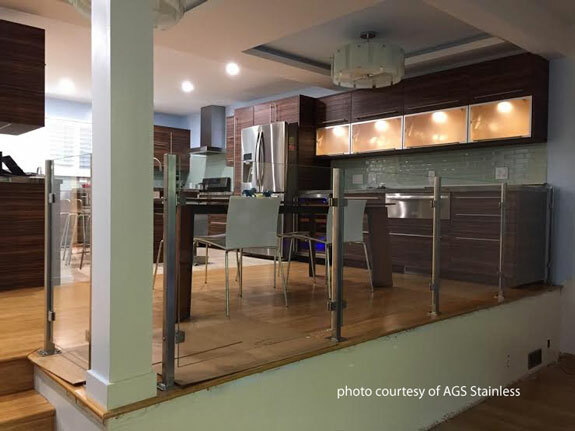 Listen to our podcast and learn more about glass infills and steel cable railings from our expert, Kevin Harris with AGS Stainless.